John Abraham’s Romeo Akbar Walter showed growth on second Sunday as 3 crores* more came in. The film has now touched 39.60 crores*. For the Robbie Grewal directed film, Kalank would act as a speed breaker though on Wednesday. That said, any more numbers that come post that would be added bonus for the film. It would eventually aim to go past the lifetime total of John Abraham’s Madras Café (45 crores) though. The Tashkent Files did better as well on Sunday with collections to the tune of 1 crore. The film has now managed 2.20 crores for itself. The total is low but there is growth. The merits of the film warrant that it earns better. The Vivek Agnihotri directed film has managed a theatrical release for itself but would do better on the digital platform when it arrives. A well-made film that deserves more. Meanwhile, Badla collected 1.25 crore* more in its sixth weekend. The film has managed a reasonable count of screens due to no major release and would get some more numbers before it is out of theaters. Currently, the Amitabh Bachchan and Taapsee Pannu starrer stands at 87.31 crores* and should eventually have a lifetime number of 88-90 crores. Superhit. Kartik Aaryan and Kriti Sanon’s Luka Chuppi is in its seventh week currently and still playing at a few screens. It brought in 0.45 crores over the weekend gone by and now stands at 94.15 crores. This Dinesh Vijan production is a Superhit though unfortunately has just missed out the 100 Crore Club mark by a whisker. 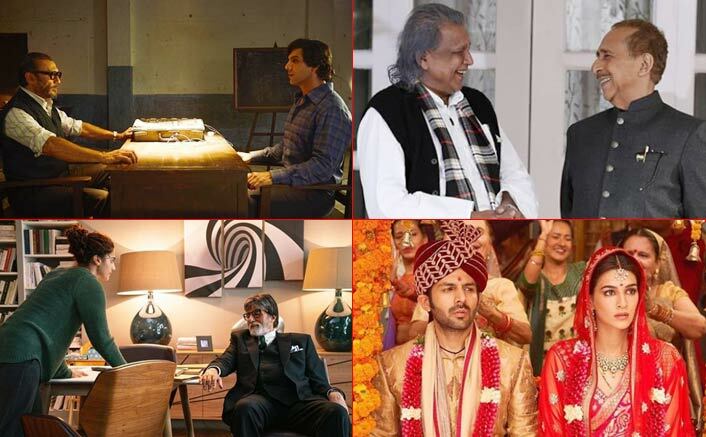 The post Box Office Updates: Romeo Akbar Walter & The Tashkent Files Grows, Badla & Luka Chuppi Continues To Add appeared first on Koimoi.